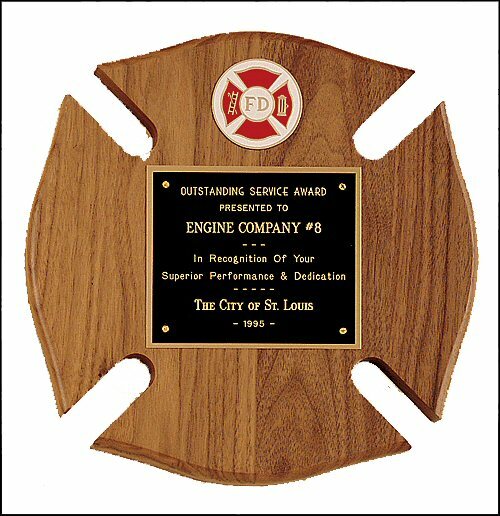 American walnut firematic recognition maltese cross shape plaque. 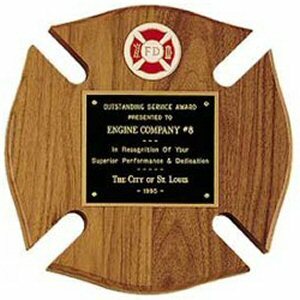 Free laser engraving on a black brass gold accented plate. Before shipping, a proof will be emailed for your approval. Individually boxed.